When the heart is unable to perform its function of supplying blood and oxygen to the entire body, it leads to heart failure. Blood flow to the organs of the body is not adequate. As a result, salts and fluids are retained in the body leading to edema of the extremities. 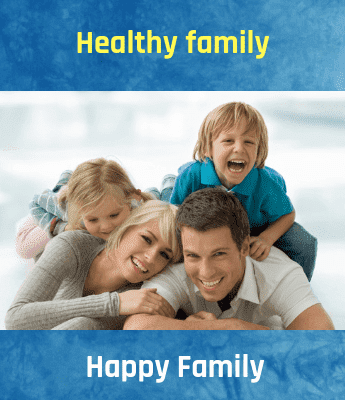 There are many causes that lead to heart failure such as hypertension, heart valve issues, congenital anomalies, chronic use of substances such as alcohol or drugs, poor lifestyle and dietary choices, etc. More than one symptoms may be experienced in the event of a heart failure including breathlessness or dyspnea (especially unable to lie down), coughing, wheezing, arrhythmia or irregular heartbeat, feeling fatigue, ankle and leg edema, retaining fluid and weight gain, cyanosis, and hypertrophy of the heart. There are 4 stages of heart failure, they are stage A, B, C, and D.
Individuals with a family history of heart disease, hypertension, diabetes, etc. are more prone to having problems related to the heart. If an individual leads an indisciplined lifestyle abusing alcohol, drugs and smoking, and has unhealthy dietary choices, then he will be considered as an eligible candidate for stage A Heart Failure. Individuals would not demonstrate any symptoms of heart failure, but they have been diagnosed with the disease are candidates for Stage B. During diagnosis, there is clear evidence of heart failure, but no clear symptoms. Medications such as ACE Inhibitors or Beta Blockers might be prescribed and hypertension or hypotension will be closely observed. 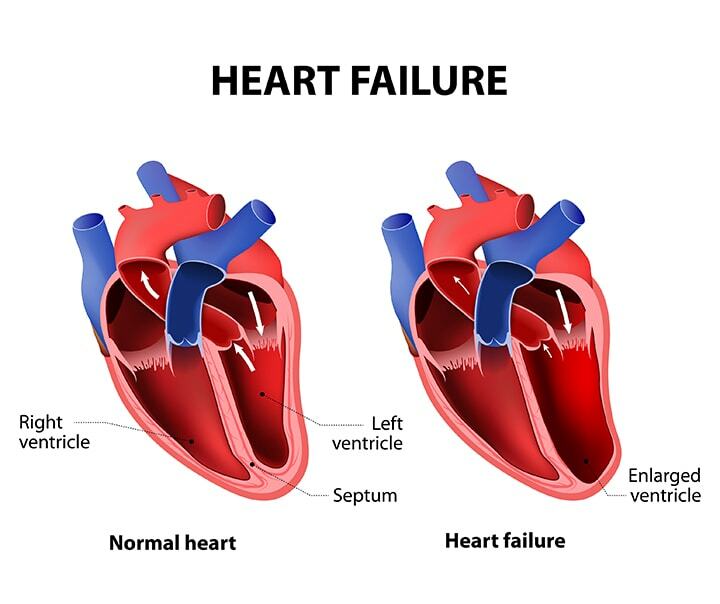 In Stage C, heart failure has been diagnosed and its symptoms are also present and noticed.They are unable to perform simple activities like walking or bending over due to tiredness are noted commonly.Shortness of breath and overall fatigue are seen. In Stage C, strict attention is paid to diet, exercise and avoiding alcohol consumption. The individuals demonstrate symptoms of heart failure despite having undergone treatment and therapy. Diet, exercise, and blood pressure are strictly observed during Stage D. Medications will be prescribed based on the individual and the severity of Heart Failure.Surgical options may be suggested based on how serious the condition is. Any ailment related to the heart, be it a heart attack or overtime, heart failure needs to be treated immediately. As soon as it is detected, emergency services need to be called. ACE inhibitors, beta blockers, calcium channel blockers, ARBs, etc. are some of the medications that are prescribed for the treatment of a heart failure. Surgery is recommended in the form of a heart transplant, heart valve surgery, placement of ICD, etc. in the event that heart failure is very severe. Individuals dealing with any health concerns should consult a healthcare professional before going through any self-treatment. As heart failure can be life-threatening, it should be handled through appropriate care.